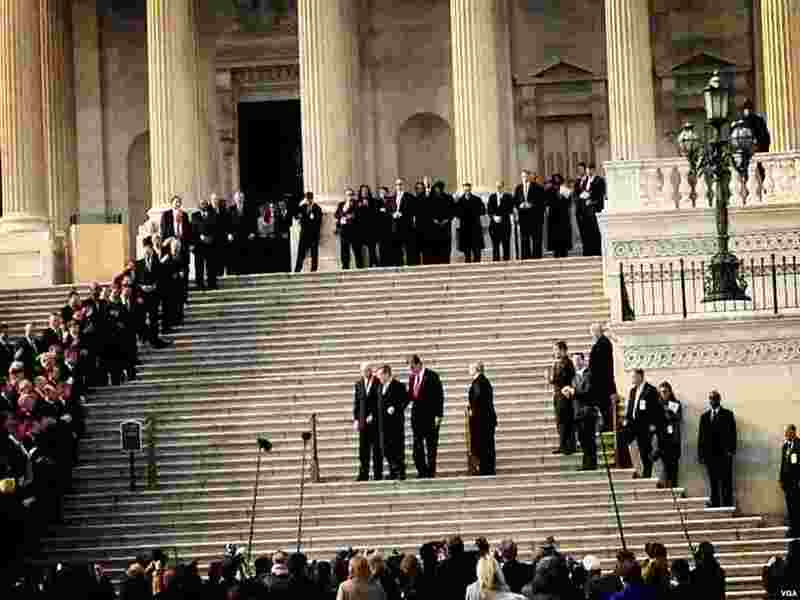 A new U.S. Congress was sworn into office January 3, 2013. It will quickly face an old dispute about the country's burgeoning debt , and controversial new gun control and immigration proposals. 1 Senator Mark Kirk is applauded by members of the House and Senate as he stands with U.S. Vice President Joe Biden on his return to the U.S. Senate after suffering a stroke, January 3, 2013. 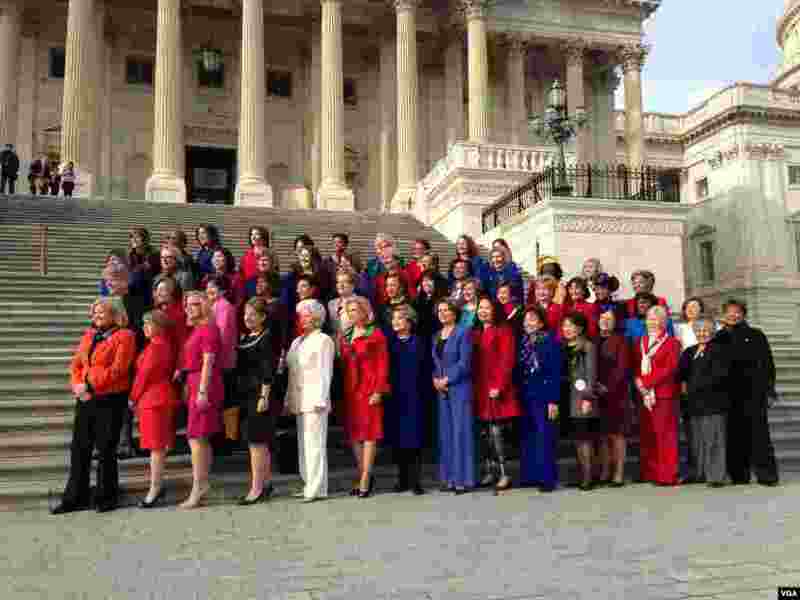 2 Women members of Congress gather in front of the Capitol, Washington, January 3, 2013. 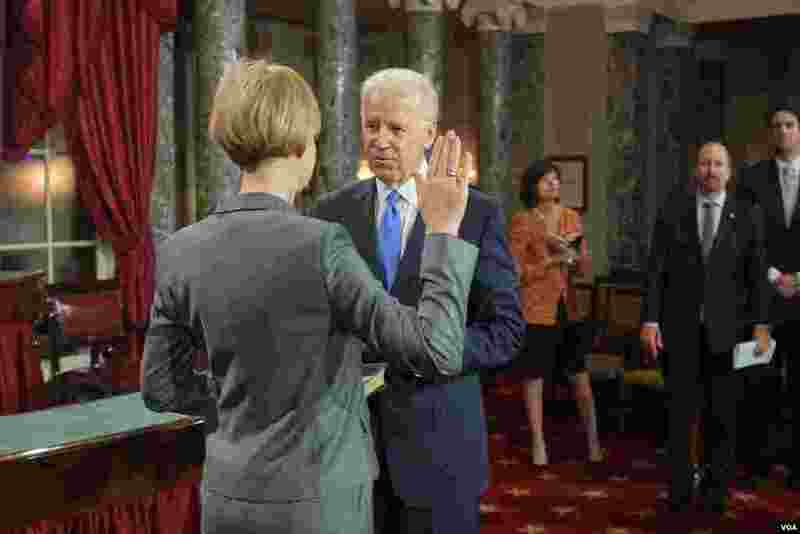 3 Vice President Joe Biden administers the Senate Oath during a mock swearing in ceremony on Capitol Hill in Washington, January 3, 2013, as the 113th Congress officially began. 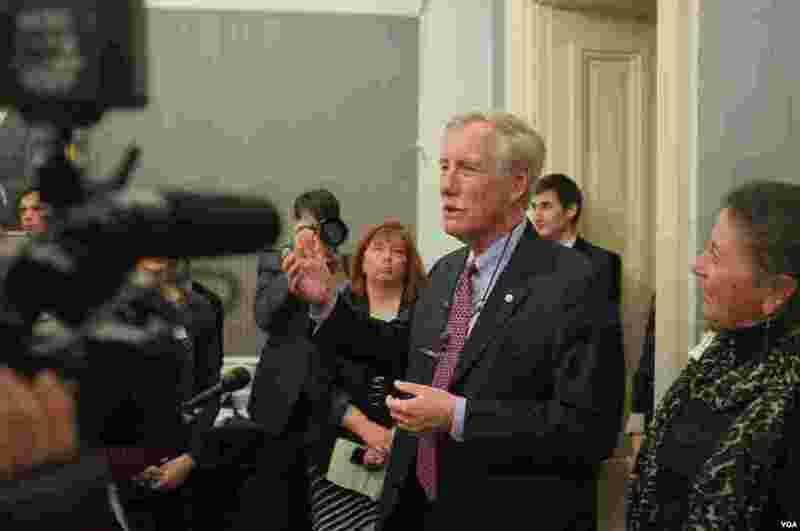 4 New Senator Angus King speaks to reporters after the swearing-in ceremony, January 3, 2013. 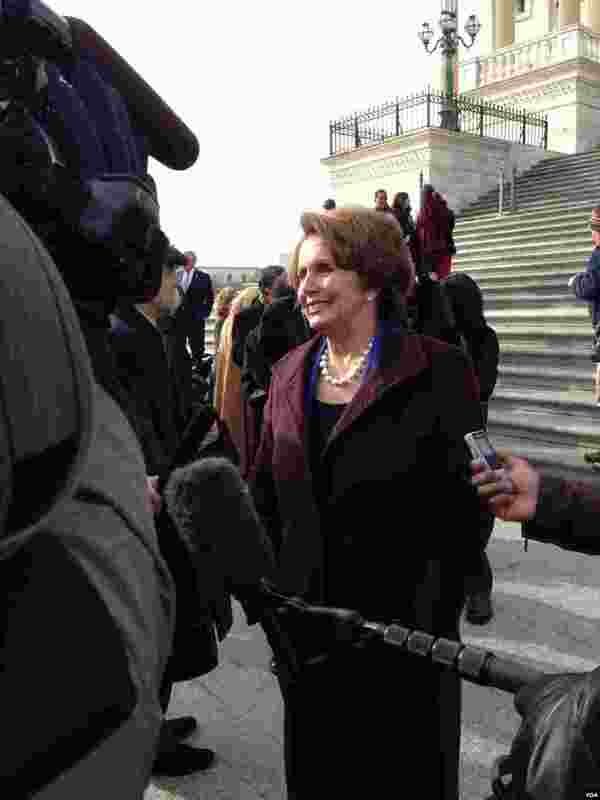 5 Minority Leader of the House of Representatives Nancy Pelosi speaks to reporters outside the Capitol, January 3, 2013. 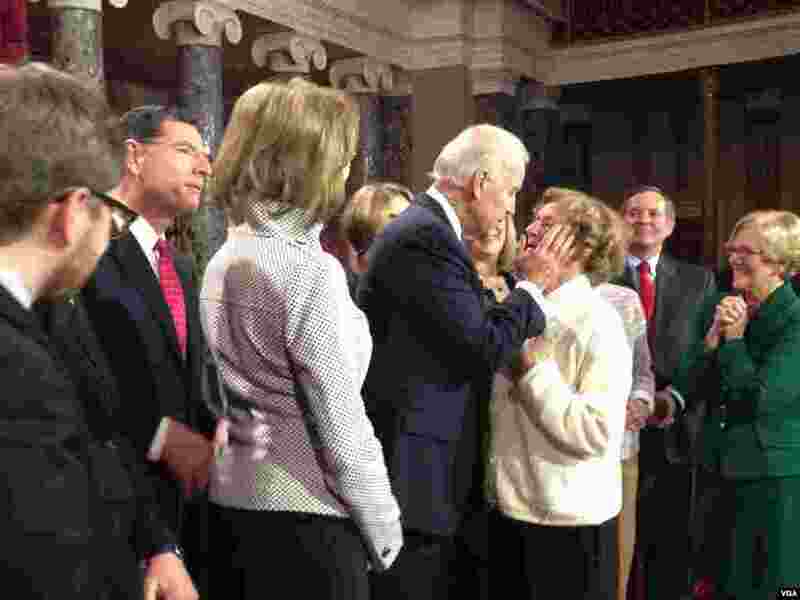 6 Family members of Sentors and Representatives are greeted by Vice President Joe Biden, January 3, 2013.